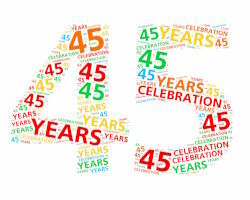 MEAP is pleased to be celebrating our 45th anniversary with the Michiana community! It is our privilege to collaborate with local business to support employees and their families through change, challenges, and progress. We salute employers of our community for their ongoing commitment to the local workforce through EAP services, and we look forward to many more years of providing assistance to further strengthen the local economy and Michiana families. In 1974, a group of concerned employers and labor leaders in St. Joseph County began meeting to discuss ways to help employees experiencing personal difficulties. Alcohol and Addictions Resource Center, an affiliate of the National Council on Alcoholism and Drug Dependence, and a leader in the development of employee assistance programs, set up Labor Management Services (LMS). LMS was the first provider of employee assistance program services in the state of Indiana. LMS was renamed the Michiana Employee Assistance Program in 1984 and continues to operate services under the auspices of AARC.